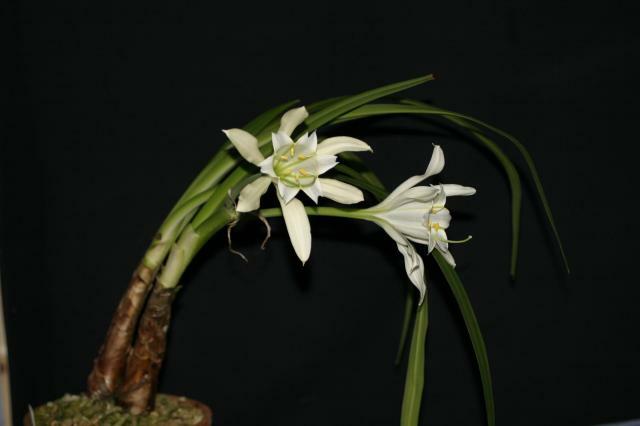 Pamianthe is a small genus in the Amaryllidaceae family of two species from Ecuador, Peru and Bolivia, Pamianthe peruviana and Pamianthe parviflora. 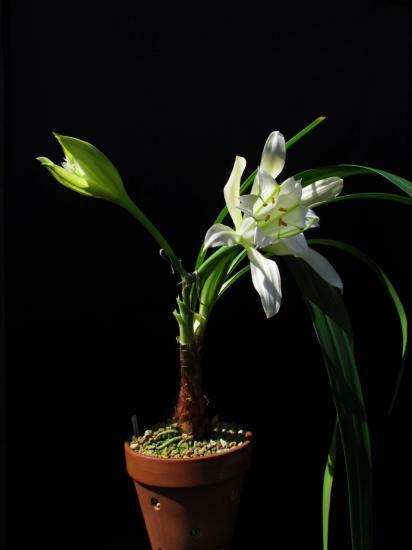 One of these species is often sought by hobbyists and is hard to obtain although seeds are sometimes available. In the paragraph below there are two suggestions offered by PBS List members for how to grow it from seed. Soak the seeds in cooled boiled water at room temperature overnight, allowing the seeds to swell to twice their size. Prepare an 8" (20 cm) pot with broken rock for 2/3 for the bottom, then add 20 ml of river rock on top to hold the medium. On top of this, add 1" (3 cm) of spent pine bark, then seedling mix (1:1 organic:inorganic) on top of the pine bark. 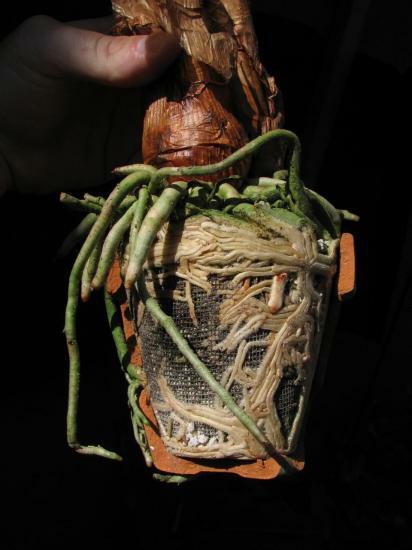 Place seed on top and water in and water when about 60% of the top medium has dried out. 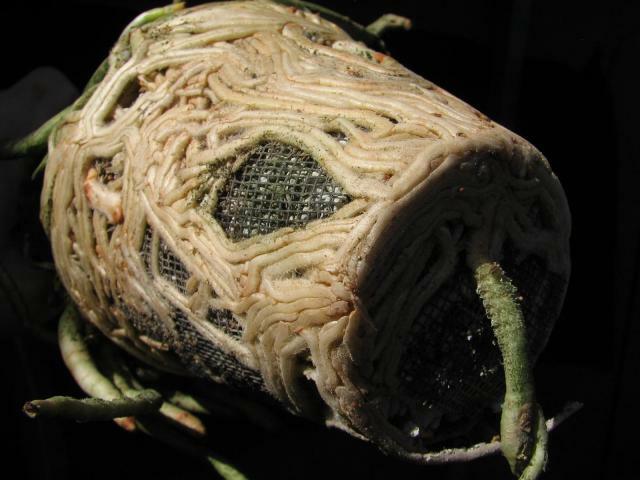 This method also works really well for other amaryllids that need rising moisture from the soil, rather than a moist medium all around (Daryl Geoghegan). Instead of the complex method used here, Jacob Uluwehi Knecht plants the seeds in a well-drained mix of (1:1 pumice and organic matter) in a terracotta pot which works just as well. 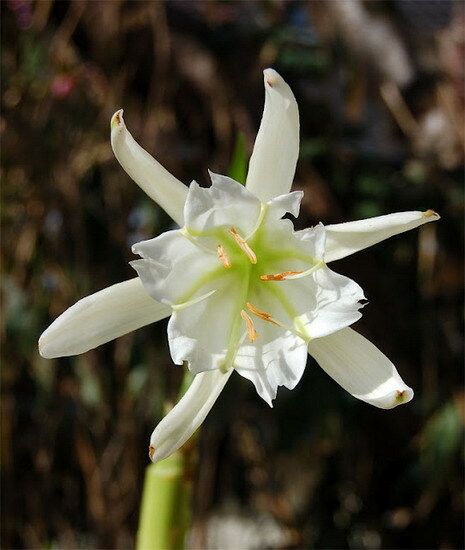 Pamianthe peruviana is the most commonly grown species. 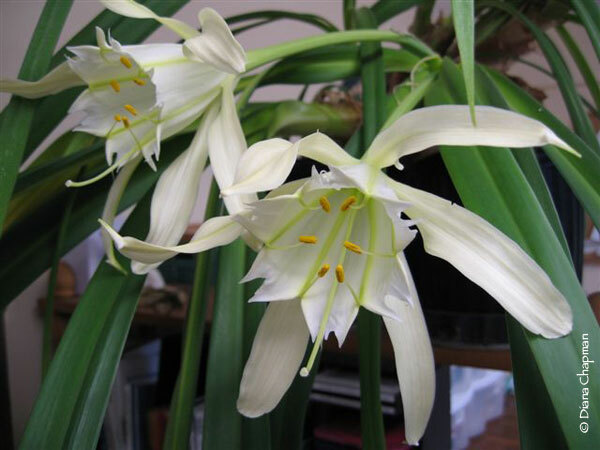 It grows as an epiphyte on tree branches in moist forests in Peru. 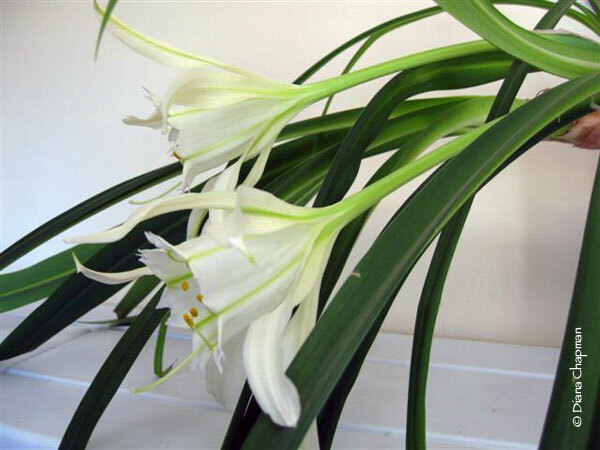 It prefers moderate temperatures, and can do well as a houseplant if grown like an orchid in a very open mix. It is not tolerant of extreme heat or cold. 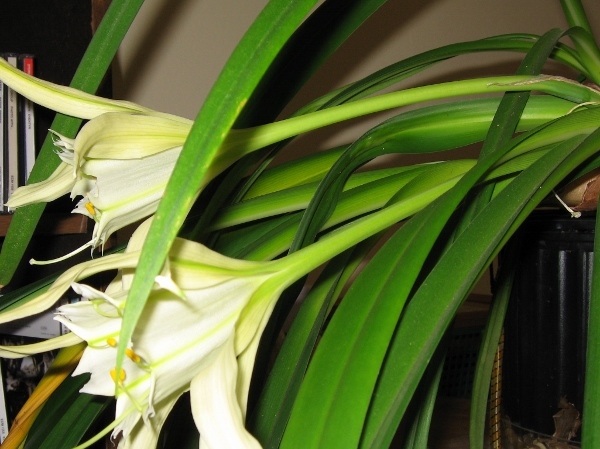 The flowers are produced in early winter and are on very short stems, each producing a pair of large scented flowers. 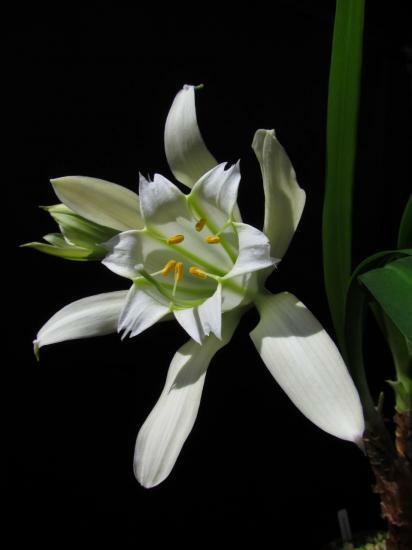 The flowering tube is an amazing 20-25 cm long, and must need a very specialized pollinator. 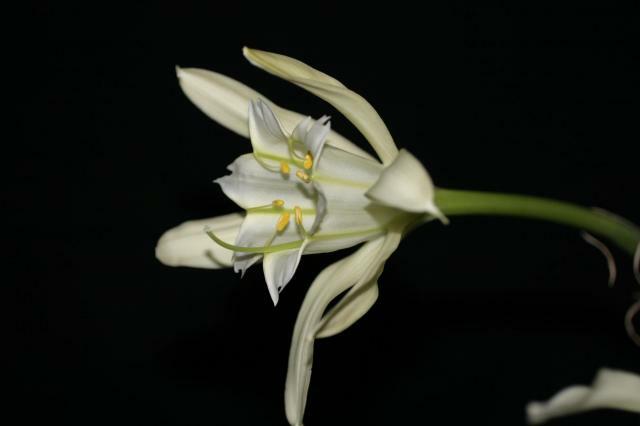 Each flower has a central corolla, and opens a greenish yellow which lightens to pure white, measuring about 15 cm across. 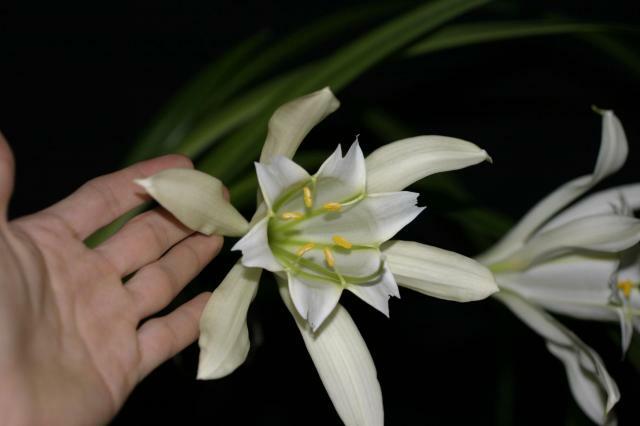 Reports of self-compatibility is mixed where it seems that in the proper age, growing conditions during flowering and genetic clone, this species would be able to self. 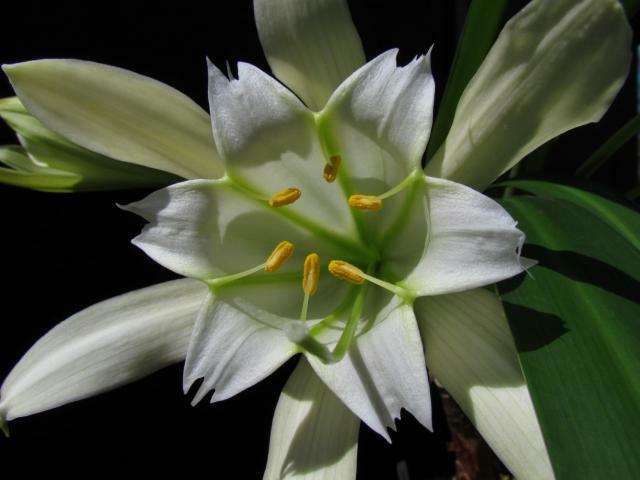 A successfully pollinated flower produces a pod that takes 15 months to ripen. 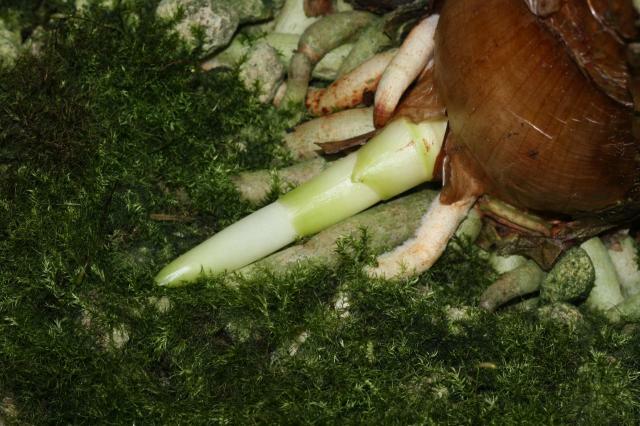 The bulb has the appearance of a leek, with a long neck formed by the bases of the leaves, and needs to be grown on the surface of the mix. 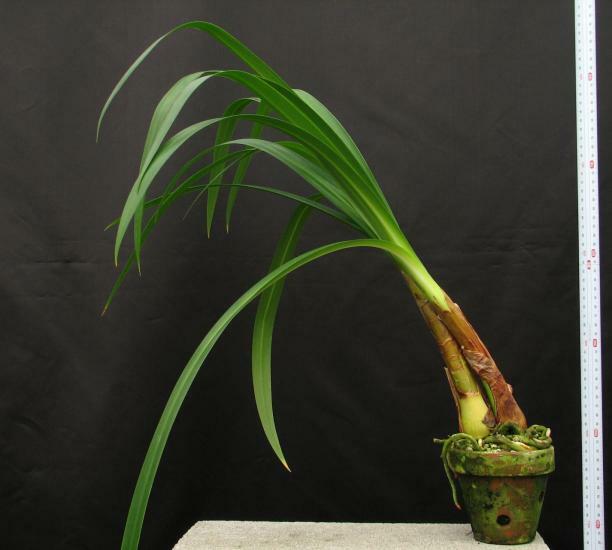 Bulbs will naturally try to grow horizontally, with the long arching leaves spreading downwards. Photos 1-3 by Diana Chapman. Photos 4-5 were taken by Hans Joschko. There was a discussion (starting here) about the length of the flowering tube and pollinators. 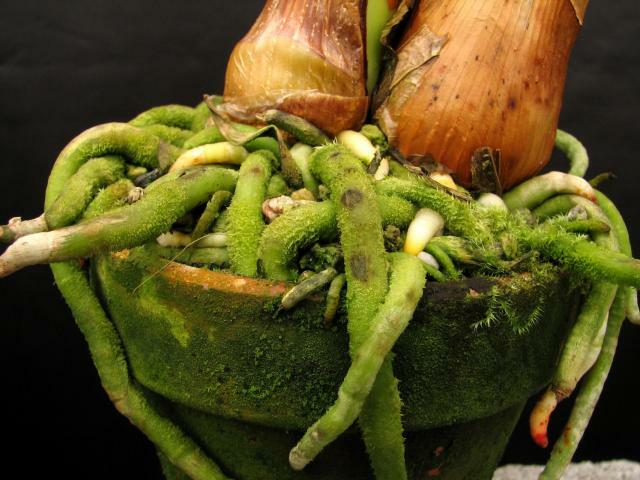 Photo 3 above was added to clarify; the ovary is the darker green thickened area at the end of the floral tube. 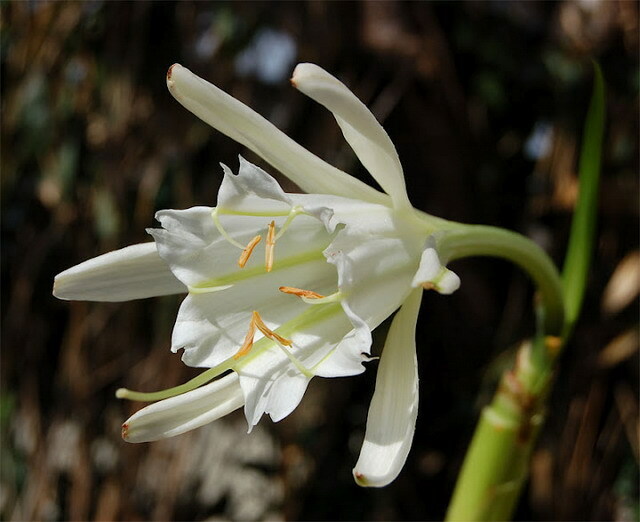 The photos below were taken by Nhu Nguyen showing the flowers, scale of the flowers, and the habit of the plant. 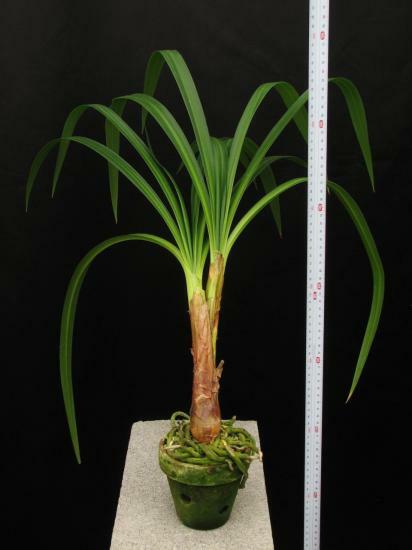 The photos below were taken by Jacob Uluwehi Knecht showing vegetative characteristics of the plant.